Here at Guard Patrol Products we specialise in supplying a great range of guard patrol systems to help you to set up and maintain an excellent level of security at your premises. We offers complete guard patrol systems to give level of security. 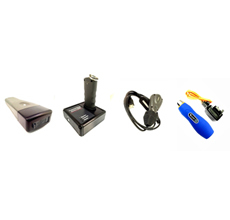 We have all the relevant hardware and software that you’ll need in order to establish a security guard tour system to protect your business property and premises.We supply starter kits for security patrol systems which include PC software, a data reader, a downloader, touch buttons and button holders, or RFID devices. As your operation grows you can purchase additional data readers, RFID devices and touch ID devices to maintain the level of security.As well as providing the software and hardware needed for establishing an effective guard tour system we also offer a full design consultancy service to help you to configure and implement the system. Our technical support service are on hand during regular working hours to assist with any problems you may have, and we can even provide out of hours support where necessary. 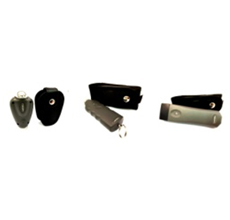 Guard Patrol Products also offer training courses to help clients to use our products to the best of their ability.Take a look at our range of security guard patrol products below, and please don’t hesitate to contact us if you require any further information. 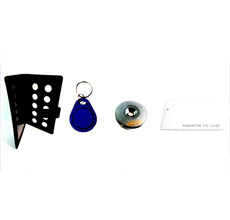 We supply starter kits for security patrol systems.Our kits provide you with all you need to start a small security guard tour system and they comprise of the following items: guard tour system PC software, 1 x data reader, 1 x down loader, 10 x touch buttons and 10 x touch button holders or 10 x RFID devices (depending on your chosen starter kit). Additional data readers can be supplied should you wish to expand the security guard tour systems we provide. No matter how many data readers are added there are no additional software costs. 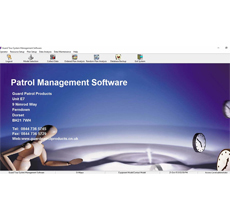 We can supply several levels or PC based guard tour system software to meet your security guard tour systems requirements. All software is Microsoft Windows 2000, XP or Windows 7 compatible. Additional RFID devices can be supplied should you wish to expand the security patrol systems we provide. Please select your additional vandal resistant or vandal proof touch ID devices and holders form our extensive range. No matter how many touch ID devices are added there are no additional software costs. 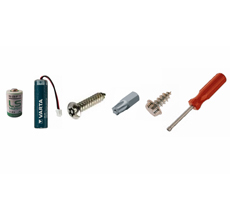 We can supply replacement lithium batteries and a selection of tamper proof fixings and associated drivers or bits. Give us a call today on 0800 817 4259 and one of our team will be happy to discuss your specific requirements and advise you on the most suitable options available to you. Why Do You Need A Guard Tour System? Copyright © Reader Options Ltd 2019.